This fierce zip-up hoodie is business in the front, party in the back... and ALL METAL! 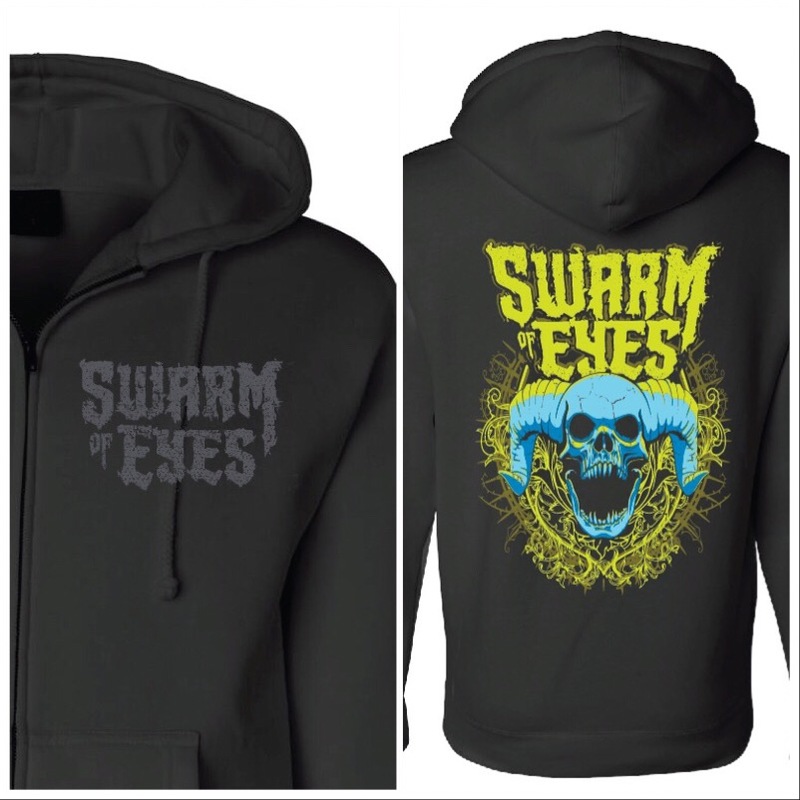 A tonal grey Swarm of Eyes band logo adorns the left front chest portion of the hoodie. The back features a large acid green Swarm of Eyes logo and blazing blue horned skull -- brought to life in all it's screaming glory by Mike D. of Killswitch Engage and his graphic design house, DarkicoN Design. This super-soft, super-stylish unisex hoodie will keep you warm through winter, spring, and fall. And it looks so damn good that you'll want to wear it in sweltering summer heat. Screw it! Just wear some extra deodorant and rock your Swarm of Eyes hoodie with pride!